Apsley Cherry-Garrard was only 24 when he set off in 1910 with Scott's expedition to Antarctica. The aim of the expedition was scientific but Scott also wanted to be the first man to reach the South Pole. The tragic end of the expedition is well-known. Not only was Scott beaten to the Pole by the Norwegian team led by Roald Amundsen but he & four companions died on the journey back to their base at Hut Point. The Worst Journey in the World is one of the most moving & distressing books I've ever read. All the members of the expedition kept diaries or wrote letters home so Cherry has all this material to help shape his compelling narrative. He's looking back, ten years after the event, & his belief in the expedition & its aims is still clear. His admiration for Scott & his companions is also very moving. The group of men who set out on this voyage were Englishmen of their time & class. The desire for adventure & scientific endeavour inspired them all. Their ability to endure incredible hardships, to work as a team & to think of their fellow men & their animals before themselves is admirable. The members of this expedition believed that it was worth while to discover new land and new life, to reach the Southern Pole of the earth, to make elaborate meteorological and magnetic observations and extended geological surveys with all the other branches of research for which we were equipped. They were prepared to suffer great hardship; and some of them died for their beliefs. Without such ideals the spirit which certainly existed in our small community would have been impossible. I know that the hero worship that Scott inspired at the time of his death & for many years afterwards has diminished in recent years. There have been criticisms of his qualities as a leader & some of his decisions have been derided. I haven't read enough to weigh into those arguments. Cherry admired Scott although he could also see his faults & weaknesses & it's Cherry's book I've been immersed in for the last week. At the same time, to visualize the Antarctic as a white land is a mistake, for, not only is there much rock projecting wherever mountains or rocky capes and islands rise, but the snow seldom looks white, and if carefully looked at will be found to be shaded with many colours, but chiefly with cobalt blue or rose-madder, and all the gradations of lilac and mauve which the mixture of these colours will produce... When to the beautiful tints in the sky and the delicate shading on the snow are added perhaps the deep colours of the open sea, with reflections of the ice foot and ice-cliffs in it, all brilliant blues and emerald greens, then indeed a man may realize how beautiful this world can be, and how clean. The title of the book refers most specifically to the gruelling journey that Cherry, Wilson & Bowers took to the Emperor penguin rookery at Cape Crozier. The object of the journey was to observe the penguins & bring back specimens to allow Wilson to study the embryology of the species. Virtually nothing was known of the Emperor penguin at this time, the most solitary species on earth. The journey was undertaken in the Antarctic winter so they were completely in the dark the whole time. They were hauling loads of 153 lbs each on sledges. The severe temperatures they experienced, the ice that made every task they had to do torture (it was so cold that their breath froze their balaclavas to their heads & they had to force themselves into their icy sleeping bags with blistered hands) & always in the dark. The long chapter describing this journey is so distressing that I had to keep putting the book down. Antarctic exploration is seldom as bad as you imagine, seldom as bad as it sounds. But this journey had beggared our language: no words could express its horror. This wasn't the end of the expedition. At the end of 1911, Scott & his companions - Wilson, Oates, Bowers & Evans - set off for the Pole. Cherry & the rest of the team travelled with them, laying depots of food & supplies all the way. Expectations were high when the Polar Party departed from the rest as the outward journey had been positive & they calculated that Scott & his party would have no trouble reaching the Pole & returning. However, as the days lengthened into weeks with no sign of the Polar Party, Cherry & his companions realised that they would not be returning. Their story I am not going to try to put down. They got to this point on 21 March and on the 29th all was over. Nor will I try and put down what there was in that tent. Scott lay in the centre, Bill (Wilson) on his left, with his head towards the door, and Birdie (Bowers) on his right, lying with his feet towards the door. Bill especially had died very quietly with his hands folded over his chest. Birdie also quietly. Oates's death was a very fine one. We go on tomorrow to try and find his body. He was glad that his regiment would be proud of him. They reached the Pole a month after Amundsen. The relief team constructed a cairn over the tent, read the burial service & left a cross marking the spot. They were unable to find Oates's body & they returned to camp with all the records, diaries & geological specimens the men had carried with them to the last to wait for the ship to take them home. Whatever we may think now about the wisdom of the journey, I don't think anyone could fail to be moved by the endurance of these men exploring an unknown continent under horrendous conditions. The only wonder is that more men didn't die. Apsley Cherry-Garrard returned to England & served in WWI before being invalided out. He suffered from nightmares & had several breakdowns. Writing The Worst Journey in the World helped him come to terms with his experiences, although he was often tormented by the thought that something he could have done might have saved Scott & the others. Nothing he could have done would have saved them (he explores the options in the book & his conclusions were supported by others) but he suffered from this guilt for the rest of his life, dying in 1959. The Worst Journey in the World has been called a great travel narrative & I suppose it is but I think it's a great classic of friendship, endurance & exploration under conditions that would have defeated lesser men. 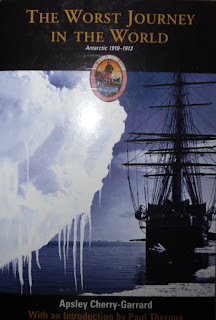 I picked it up from the tbr shelves because the centenary of Scott's last journey is upon us & because I read Barbara's fascinating post at Milady's Boudoir about polar exploration & remembered how often Barbara has recommended this book to me. I'm enjoying my serendipitous selection of poems from my Everyman's Book of English Love Poems. It often throws up unknown poems & completely obscure poets. I can't find any information about today's poet, James Drake. The poem comes from a collection called The Humours of New Tunbridge Wells at Islington, published in 1742. 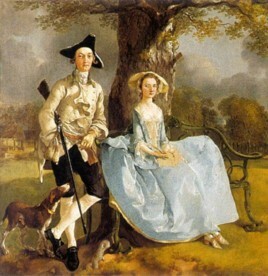 The picture is Mr & Mrs Andrews by Gainsborough (from here) & I wonder if their courtship was anything like this? And their past woes reveal? But passion strikes them dumb. Which flutter round the heart. Fly to each other's arms. 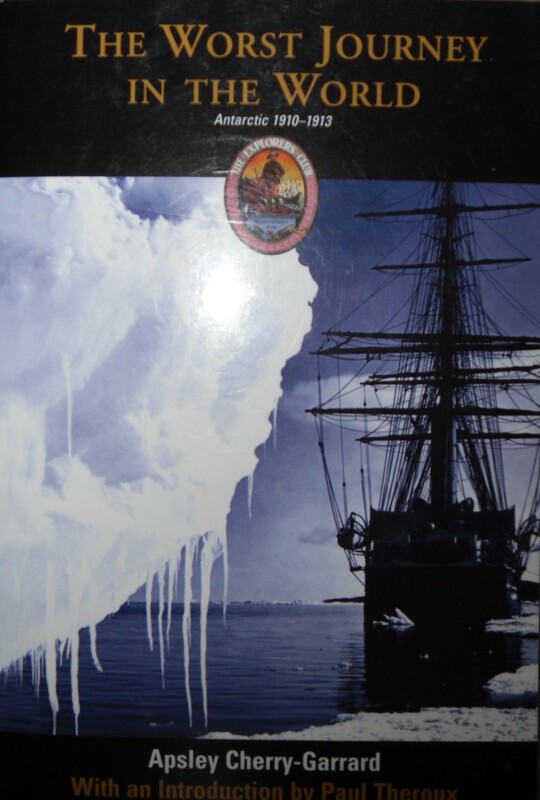 I've been reading The Worst Journey In The World by Apsley Cherry-Garrard, a gruelling account of Scott's last Antarctic expedition. It's a wonderful book but very distressing so I've needed something completely different to read last thing at night to stop myself worrying about Cherry, the other expedition members & especially the ponies & dogs. The Fair Miss Fortune couldn't be more different & fitted the bill perfectly. 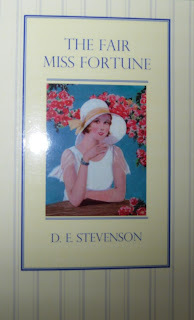 D E Stevenson wrote The Fair Miss Fortune in the late 30s. 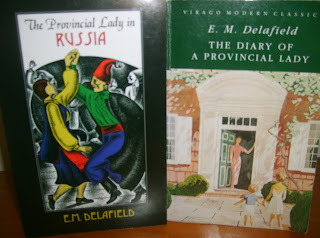 Her publishers weren't interested in publishing it & so, it was left in the attic until it was recently rediscovered & published for the first time by Greyladies, an Edinburgh publishing house who introduced me to the delights of O Douglas & Mabel Esther Allan's mystery novels. This edition includes several letters between Stevenson & her agent about the difficulties they were having placing the novel. The theme of twins (this isn't giving anything away as it's in the letters) was thought to be a little hackneyed & they thought the story too old fashioned for the modern reader. Jane Fortune moves to the village of Dingleford to open a teashop. She's accompanied by her old Nannie & she plans to renovate the house she's bought & capture passing trade from the recently built bypass. The previous owner of the house, Mrs Prestcott, is a vile woman who totally dominates her nice but downtrodden son, Harold. Empire builder Charles Weatherby is home on leave from India, living with his invalid mother & trying to avoid boring social engagements. Once he meets Jane, he falls almost immediately in love, saving her from an overflowing cistern & chopping down monstrous rhododendron bushes. Harold has also met Jane & is a little smitten although his shyness & sense of inferiority hinders him from doing anything about it. The fun really starts when Jane's identical twin sister, Joan, arrives. Joan has been working in London while Jane establishes the teashop & finds out whether it will be successful enough for them to make a living in Dingleford together. Joan appears one day in the local shop, ignoring Charles & denting his ego. She's left London in a hurry as her boss is making a nuisance of himself. She swears Jane to secrecy as she's afraid he'll follow her & discover her whereabouts. Harold arrives one day to see Jane, meets Joan instead and, after fixing the doorbell, finds himself falling in love. 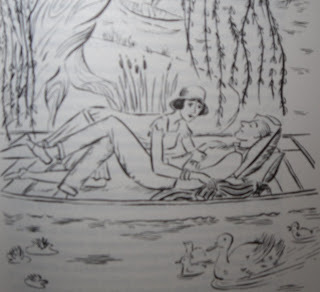 Joan's romance with Harold blossoms, even though he thinks it's Jane he's in love with. The misunderstandings culminate with both Harold & Charles believing they're engaged to Jane & the sisters have to confess all. 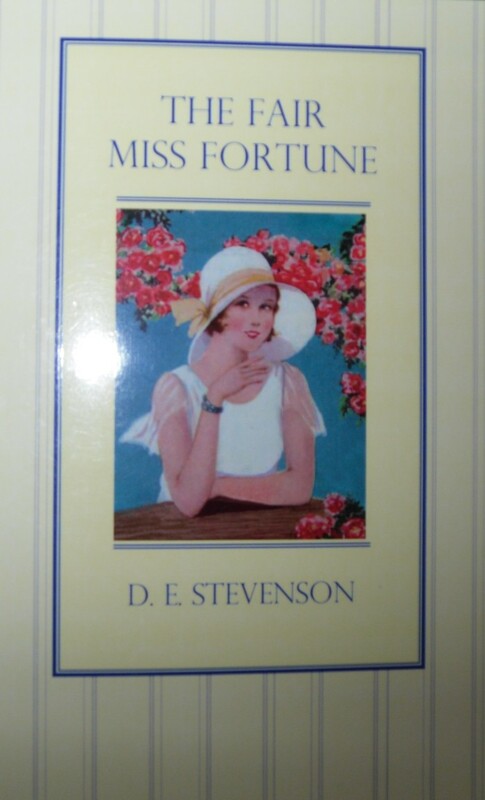 The plot of The Fair Miss Fortune certainly isn't new but D E Stevenson has a sure touch & her cast of characters are a delight. 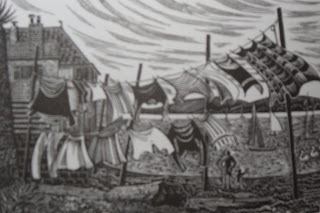 Mrs Trail, who runs the village shop; Charles's mother, Emma; the Morleys, a discontented family with two very modern children longing for the bright lights & nightclubs of London; & especially monstrous Mrs Prestcott, with her newly built home, Suntrap, all sleek lines & a roof for sunbathing & her tyranny over Harold. She even tries to sabotage his efforts to lose weight by ordering all his favourite desserts. The scene where Mrs Prestcott confronts Jane to warn her off is obviously inspired by the similar scene between Elizabeth & Lady Catherine in Pride & Prejudice. The twins take a childish delight in confusing everybody right up to the end of this charming novel which could have been designed for the label comfort reading. The fact that the book was rejected shows once again that even established authors (Stevenson had been writing since the early 1920s) can have trouble being published. I'm glad the resurgence of interest in D E Stevenson has led to more of her work becoming available. Greenbanks is the story of the Ashton family. 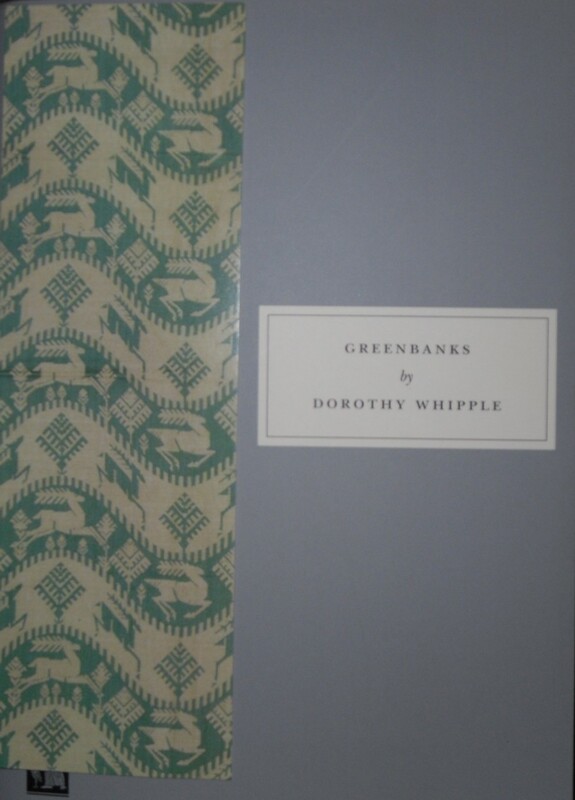 Any novel by Dorothy Whipple is guaranteed to be an absorbing story of family relationships, romance & heartache & Greenbanks is no exception. They're the qualities that have made her Persephone's best-selling author. But, can I say that this is not the most absorbing Whipple I've read? I find that the Whipples I've read fall into two camps. 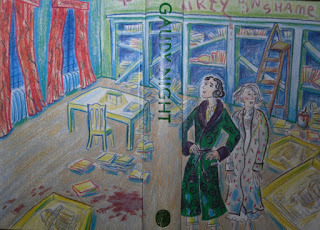 The unputdownable ones like Someone At A Distance, They Were Sisters, They Knew Mr Knight & High Wages & the pleasant but more ho-humish ones like The Priory & Greenbanks. I enjoyed the relationship between Louisa Ashton & her granddaughter Rachel very much. This is a theme that's mentioned in every review I've read so far. Rachel is about three when the novel begins & 18 at the end. Her relationship with Louisa is the most nurturing one she has. Her mother, Letty, is a disappointed woman. Married to pompous Ambrose & with three sons as well as Rachel to look after, she often seems exhausted. Rachel's schools are chosen not for their academic excellence but for their proximity to Greenbanks so that she can have lunch with her grandmother & stay there as well. Louisa encourages Rachel in her ambitions, but subtly. When Ambrose refuses to allow Rachel to take up her scholarship to Oxford, Louisa is there to support Rachel. Louisa's marriage wasn't particularly happy either. Her husband, Robert, was a philanderer & is killed in a carriage accident while driving out with his latest mistress. Her eldest son, Jim, runs the family business but he's an unsympathetic man, thinking about the fortune he hopes to make & the awful young woman, Mabel, that he wants to marry. He has no real sympathy with his mother & is contemptuous of his brother, Charles, his mother's favourite. Charles is charming but feckless & eventually Jim & Ambrose pack him off to South Africa to make a living or disappear altogether - they don't really mind which. The scene where Louisa travels to London to see Charles off is heartbreaking. The agony was long. The train did not move. Louisa's lips ached intolerably. She was determined not to cry, not to upset him. When the train went out, she could give way, but not before. She began to long for the train to go, to get it over, to let her heart break this iron oppression, and yet when the train began to move, she hurried along with it, and Charles had forcibly to tear his hand from hers. When Charles returns with no money, a monkey & a parrot, his brother is appalled & soon packs him off to Malaya. Only Louisa is really pleased to see him & her only rebellions against the might of the men of the family are on Charles's behalf. Charles returns from Malaya in 1914 to enlist in the Army & cause his mother more anxiety. Louisa's daughter, Laura, is another unhappy woman. Engaged to Cecil Bradfield, the love of her life, they quarrel over her green velvet hat, the ridiculous argument turns serious & neither will back down. Laura marries a rich manufacturer from Nottingham out of despair & leads a miserable life of luxury. Her rebellion, when it comes, causes Louisa anguish but when Laura, as always, relies on her mother to help her, Louisa is again the rock on which all her children rely. The loving, supportive relationship of Louisa & Rachel contrasts always with the ungrateful, selfish generation in between. The most interesting character in the book for me was Kate Barlow. Kate had an affair with a married man, had his child, and, after the baby was taken for adoption, left town to work at poorly paid jobs as companion. After Charles leaves for South Africa, Louisa, who has kept in touch with Kate, decides to ask her to come & live with her. The family are scandalised, of course, & Kate, when she arrives, is quite different to how Louisa expected. Louisa made the offer from friendship & thought that Kate would look on her position as that of a guest. Kate, however, can't leave her past behind. The scandal of her love affair has scarred her character & she can't let anyone forget it. The portrait of this woman is summed up in one phrase, "She was always inadequate at rejoicing." Her presence is a blight on family dinners, her attempt to join a wartime sewing circle is a disaster, she gives no pleasure to anyone & isn't able to receive the gifts of friendship & love that Louisa would happily give her. She is ungracious, prickly & difficult. Even when her life seems about to change for the better, circumstances are against her. I did enjoy reading Greenbanks. 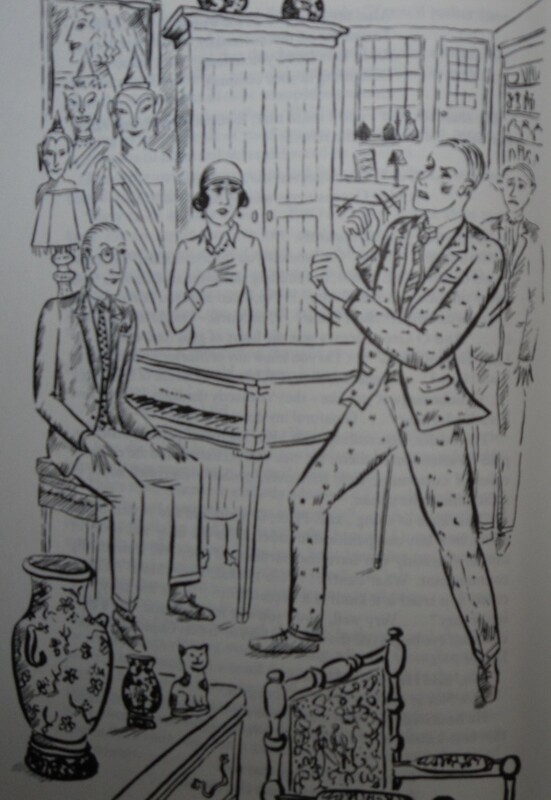 It's absorbing & full of those domestic details of middle-class life of the period that I enjoy. There are characters to love & characters to sneer at. Even then, Dorothy Whipple is too clever to have merely stock characters. Even Ambrose can be pitied at the end of the book as he imagines that his wife & daughter have rejected him. 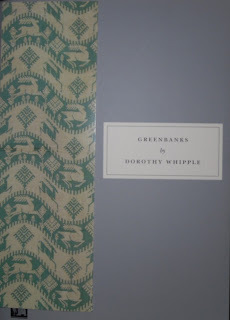 I think it's just that I have such high expectations when it comes to reading Dorothy Whipple that anything less than complete absorption & staying up far too late to finish the book, means that I feel slightly disappointed. There are other reviews of Greenbanks at normblog, Book Snob, & A Year of Actually Reading My Own Books. I came across a review of this book of poetry & immediately knew I wanted to read it. In the note on the back flap of the book, Janie Hextall & Barbara McNaught write that they became friends because of a shared love of poetry. 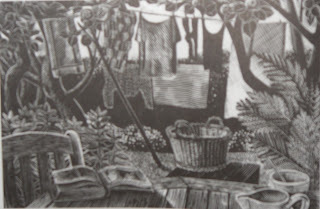 They discovered that they both collected poems & woodcuts about laundry & enjoyed train travel because it meant they could look at washing blowing in the breeze in other people's backyards. Their passion for poetry & laundry led to the creation of Lautus Press - Lautus being the Latin for washed, clean or refined, elegant. The book that resulted from this passion is a beautiful object in itself. Pale lilac cover with French flaps & a lovely woodcut, Wash Day by Clifford Harper, on the cover. Without any seam or needlework? And you shall be a true lover of mine. Where never sprung water, nor rain ever fell? Which never bore blossom since Adam was born? after the hay-days and the birdsong months. rosy hands hoisting cauldrons of greens. glossing the collars of our summer blouses. 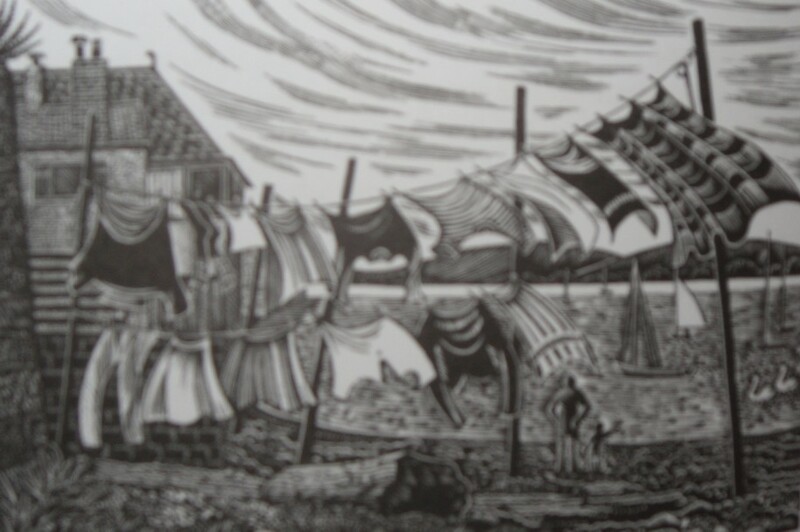 I enjoyed Anna Laetitia Barbauld's Washing-Day, full of the apprehension of bad weather spoiling the wash & the irritation of an uninvited visitor when wash day is in full swing, The woodcut above is Lympstone Washday by Pam Pebworth. Cast at the lowering sky, if sky should lower. In silence dines and early slinks away. 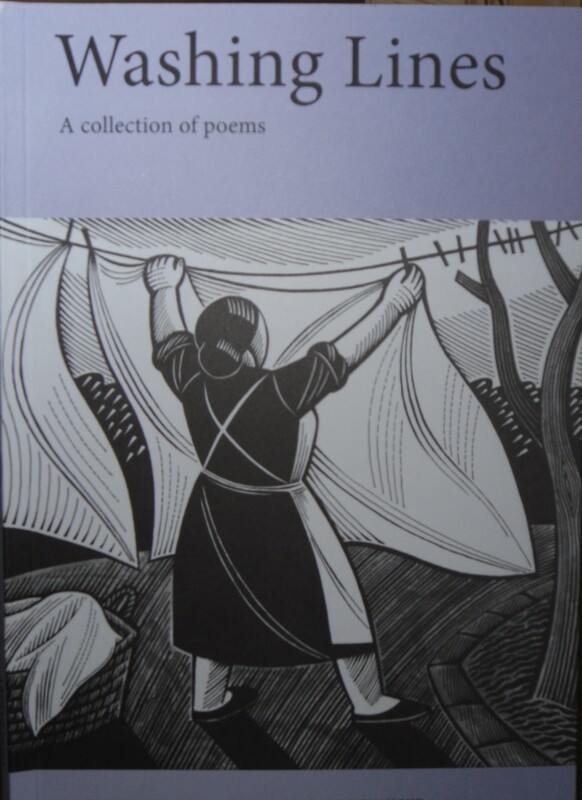 As well as an enjoyable collection of poems about the delights of cleanliness & domesticity, the Afterword of Washing Lines by Alexander Lee also explores the environmental issues at stake. I'd read about this trend in the papers & was incredulous that some cities in the US ban householders from drying their washing outside. They're forced to use clothes dryers which now consume 6-10% of domestic electricity in the US. The smell of freshly dried sheets is one of the joys of life & I'm lucky to live in a country where I can dry my washing outside all year. Banning the outdoor drying of laundry just seems so ridiculous. It's free & it's environmentally friendly. Alexander Lee has started a movement, Project Laundry List, to encourage outside drying & cold water washing. There's even a National Hanging Out Day! I've only used a couple of my photos of the gorgeous woodcuts in the book as they make them look quite muddy & don't do them justice. If you enjoy poetry & woodcuts on domestic themes, I recommend Washing Lines. It's a little gem. Henry King (picture from here) was a 17th century poet & also Bishop of Chichester. He was the friend & executor of John Donne &, like Donne, seems to have written love poems in his youth that weren't published until the end of his life. This is a lovely poem of melancholy resignation but also with a touch of self-pity in the final verse. In silence dote myself away. I had an unexpected day off work yesterday & it was one of the loveliest days I've had in ages - probably because I thought I'd be at work & I wasn't. I had to wait at home in the morning for an electrician so I'd taken a few hours annual leave. He was on time & the job was done quickly, so by 10.30, I could have been on my way in to work. 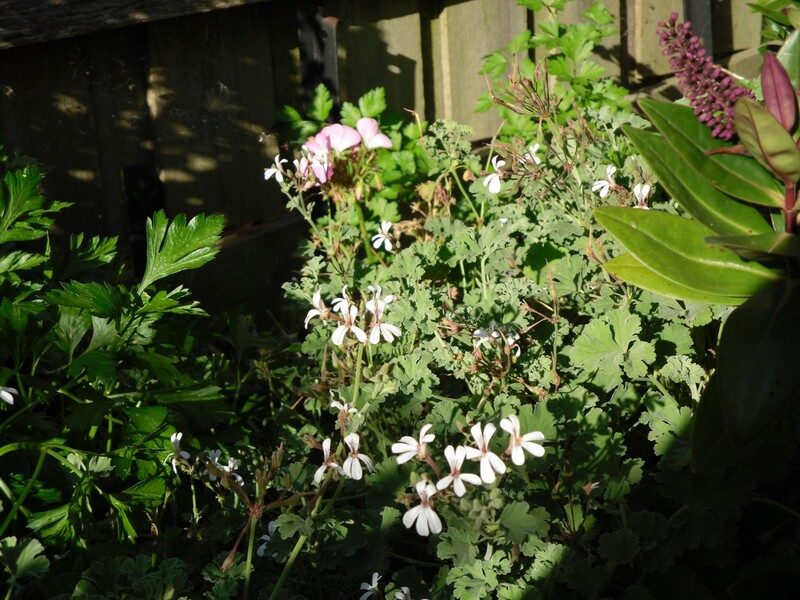 But, I'd just had a letter asking me to take some annual leave as I have accumulated too much & it was a beautiful day, not too hot, lovely cool breeze & work is pretty quiet at the moment & I had nothing urgent that needed to be done. So, I rang in & said I was taking a few more hours annual leave & I'd see them tomorrow. It was a very liberating feeling. I did a few useful things like a load of laundry & some grocery shopping. I posted my review of Ann Bridge's Dangerous Islands. Then, I looked at my veggie garden & decided that I'd buy some more lettuce seedlings to replace a few plants that hadn't taken off. I also needed to buy Lucky a new collar as she's lost her old one, no idea where, & if she knows, she's not telling. I thought I might as well buy Phoebe a new one as well as she's very hard on her collars & her current one is looking a bit tatty. After visiting the pet shop & the first nursery for the plants, I went along to another nursery which has the most tempting gift shop because I have two friends with birthdays coming up. I found a lovely present for S who's very difficult to buy for & half of T's gift. I'll pick up a couple of other goodies at the farmers market in a couple of weeks to complete it. I've become slightly addicted to Hugh Fearnley-Whittingstall & his River Cottage TV series. I sat down after lunch with a cup of tea to watch the last of his Autumn series (DVDs borrowed from work) & I have Spring & Summer to watch as well. My addiction really started with his new Veg cookbook. I've tried several recipes, including the Macaroni Peas that Cornflower recommended. Then, I was looking through a gardening magazine & saw a review of a book that I think will be perfect for another friend's birthday next month. By this stage, I was feeling so organized I was just about ready to start Christmas shopping! Late this afternoon, I planted out the lettuce, mulched & watered it all in & took these photos of the garden. 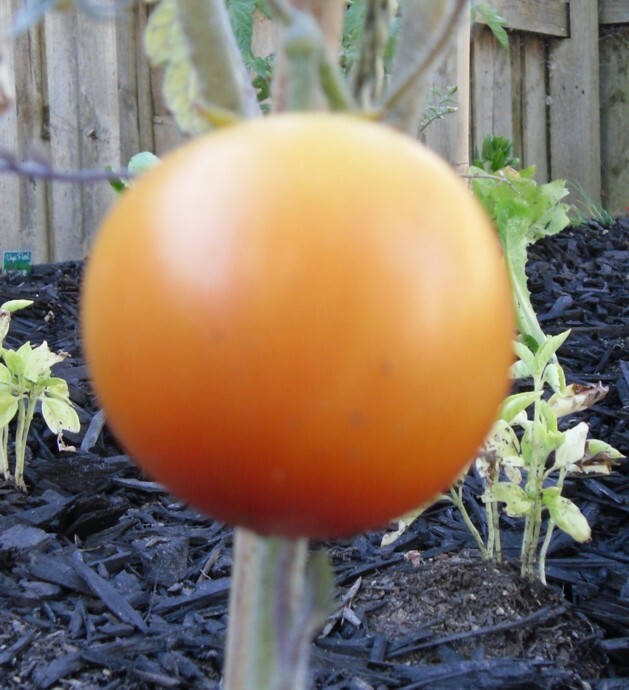 At the top is my pride & joy, my first almost-ripe tomato. 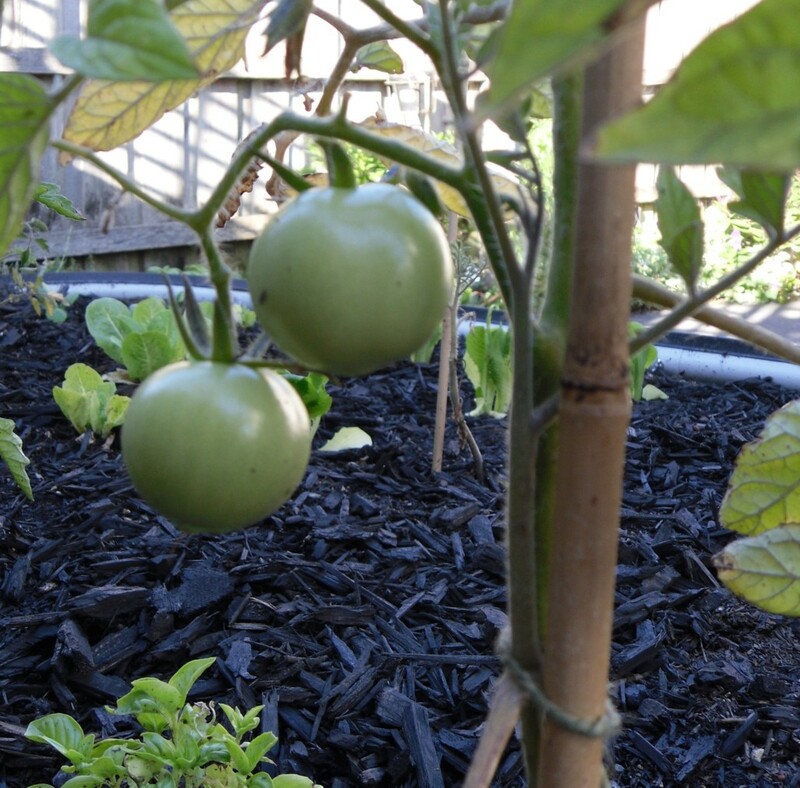 Then, some of the dozen or so green tomatoes at varying stages of growth. 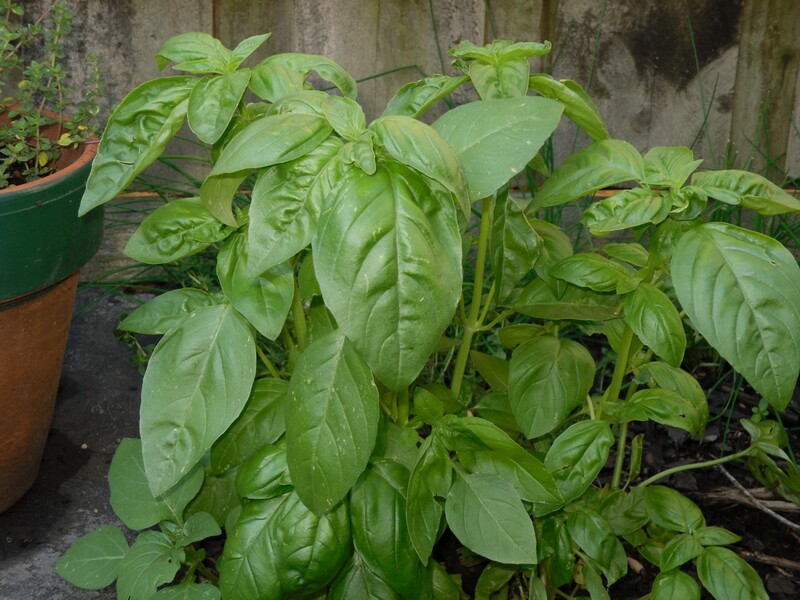 Then there's basil. Why is this basil in the garden bed against the fence looking so beautiful when the seedlings from the same punnet that I planted next to the tomatoes in the veggie bed look so sick? I hope it's because they've been eaten by all the bugs that would have eaten the tomatoes if the basil hadn't been there. 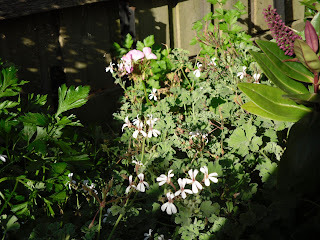 Above is a picture of that garden bed by the fence with peppermint & pink geraniums, parsley & hebe. 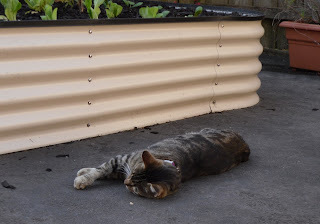 Last but not least, here's Lucky enjoying the late afternoon shade in front of the veggie bed. It's been a lovely day, I feel I've accomplished so much, it felt as though I'd been given a special holiday. I finished the day with a little more Hugh, another cup of tea & a few more chapters of Middlemarch. After my little e-reader hiccup, I'm glad to say I've been able to get back to reading Ann Bridge's series of novels about Julia Probyn. 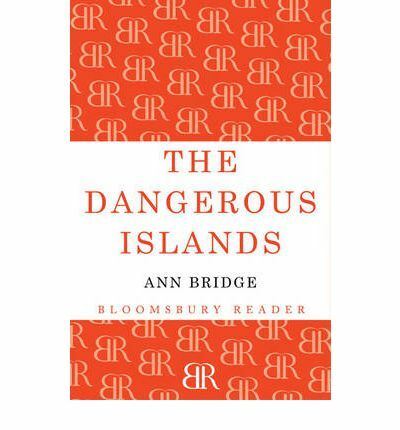 The Dangerous Islands is set in Scotland, Ireland & the Scilly Isles & involves sailing, espionage & romance in equal measure. Julia is at Glentoran, visiting her cousins the Munros. On a sailing trip around the Hebrides, Julia & Colin Munro discover a suspicious installation on a remote island. They suspect it's a radio transmitter, planted by the Russians to transmit satellite positions & other information to Moscow. This is 1963, so the Cold War is raging, & Colin's job in the Secret Service means that he needs to pass the information on & have it investigated. Philip Jamieson is dispatched from London to investigate. Jamieson, with help from Julia, is able to locate several more transmitters on remote islands. They also keep running into three Russians pretending to be Scandinavians on a trawler that has no legitimate reason to be there. Jamieson disables the transmitters & the search for more leads them to Ireland & the Scilly Isles. Julia's friend, Mary Hutchinson, is concerned about her old friend Professor Burbage. The Professor has been acting suspiciously & his archaeological excavations seem to be taking place very close to the locations of the transmitters. He seems nervous when Julia meets him & his reputation is already under a cloud because he's suspected of helping the Russians when he worked in the Middle East. Julia's affection for the Professor makes her very protective of him & Jamieson's determination to do his job regardless of personal feelings complicates their personal relationship, especially when it becomes obvious that he's falling in love with Julia. 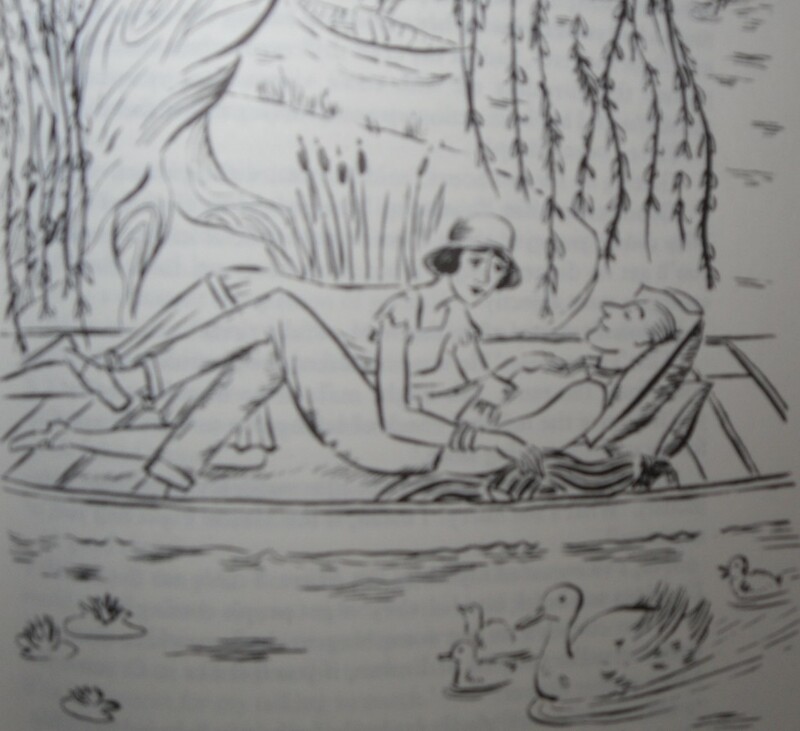 Julia's feelings about him are equally romantic until she hears a rumour about his personal life that disconcerts her. The climax of the story on the Scillys is exciting & tragic but, as with all good adventure stories, right prevails & the good guys (mostly) live to fight another day. The Dangerous Islands is another rollicking adventure for Julia & her friends. I've always loved reading about Scotland & the first section of the book involving the sailing trip around the Hebrides, is very exciting. I know it's a product of the period when the book was written but Julia's cousin, Edina, now married to Philip Reeder who we met in the first book, A Lighthearted Quest, spends a lot of time on the boat cooking & cleaning. Julia does much more in the way of sailing & exploring. When you think that Edina was practically running Glentoran single-handed in the first book, I was a bit annoyed to see her so diminished by marriage into a galley slave! It reminded me of the Famous Five - George the tomboy out there with the boys & Anne already in training as a good wife & mother. This kind of domestic stereotyping doesn't usually bother me as I read a lot of books of this period & earlier but I thought it was very marked here. Maybe I haven't read enough thrillers. Julia herself is still a very attractive character. I enjoy the fact that she's independently wealthy & can just race off at a moment's notice on a trip to Ireland where naturally she has friends with a beautiful estate. She ingratiates herself with the locals wherever she goes & even when she visits the Scillies for the first time, has no trouble in finding out any necessary information. She's a natural intriguer & spy, if the Secret Service ever decide to employ her officially, instead of being content with her unofficial help. For all Julia's outward confidence, she hasn't been particularly successful in her romantic relationships so far. Her relationship with Philip Jamieson seems promising but there are four more books in the series & I'm looking forward to seeing what happens to them next. As always in this series, the locations are important. All the island settings are beautifully described, the scenery, history & local legends are a part of the story & really add to the atmosphere of a very exciting plot & a cast of characters that I'm looking forward to meeting up with again. Over a year ago, I read Alexandra Harris's book, Romantic Moderns. I was so inspired by her survey of modernist English writers & artists that I had great plans to read more about them, especially the fiction of Virginia Woolf. Now, just to give me another nudge, Alexandra Harris has written a biography of Virginia Woolf. 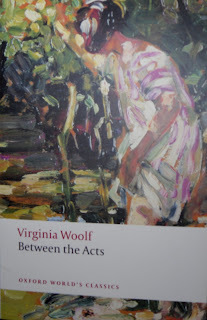 This is an elegantly written, concise survey of Woolf's life & work. 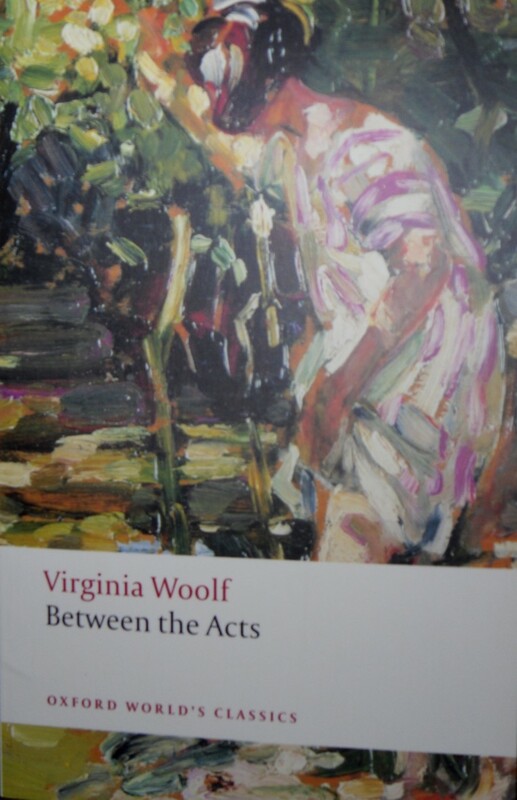 It would be ideal for someone who knew little about Woolf & wanted to know who she was. Harris acknowledges the magnificent biography of Woolf by Hermione Lee, which Harris called, "the book that showed me what literature can do and sent me off to study English." 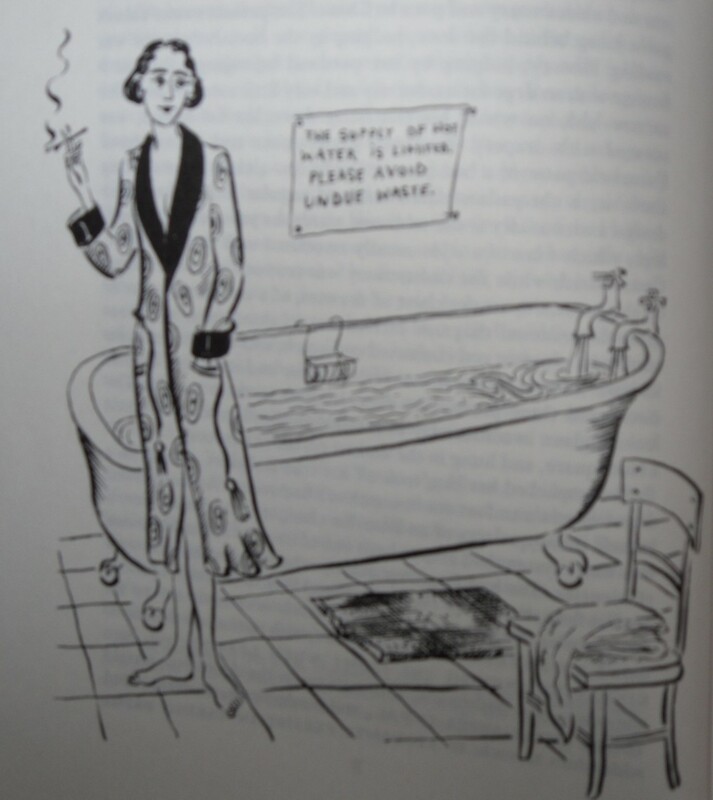 Woolf's life is economically described. Her happy early childhood, the summers at Cornwall that inspired To The Lighthouse, her despair & breakdown after the death of her beloved mother, Julia. Her education, directed by her father, Leslie Stephen, & the revelation of books & literature. The escape from conventionality that was only possible for Virginia & her siblings after their father's death. 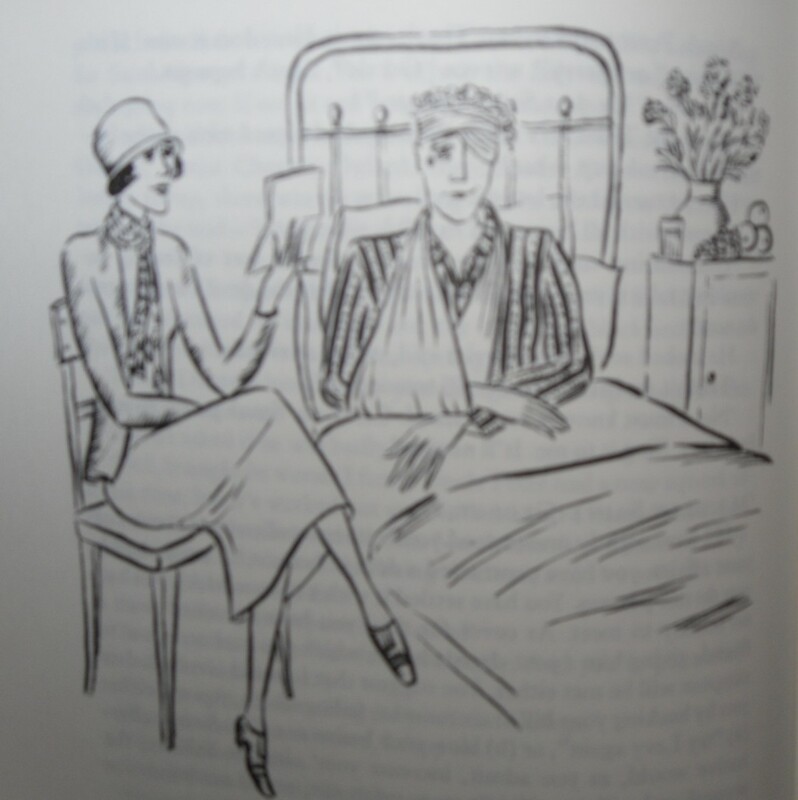 Life in Bloomsbury, Richmond & Sussex, marriage to Leonard Woolf. Her relationships with friends & lovers. The mental illnesses that punctuated her life & the soothing work at the Hogarth Press that helped her to recover.The last years with the threat of war & her final decision to commit suicide when she felt the mental illness returning in 1941. I found it especially invaluable for the insights into the fiction, which I've never really been able to love, & the connections between the life & the work. I always feel at a bit of a distance from Woolf's fiction. I've read most of the novels but my real love is the Diaries. From A Writer's Diary, the selection that Leonard put together to show Virginia as a working writer (about to be reprinted by Persephone) to the complete six volumes, I loved Woolf's voice. Woolf did not conceive her diary as a place of guarded privacy...She started to write for her older self, imagining conversations with Virginia Woolf at fifty. And she was fully aware, especially as she became more famous, that her diary might well be read by others. 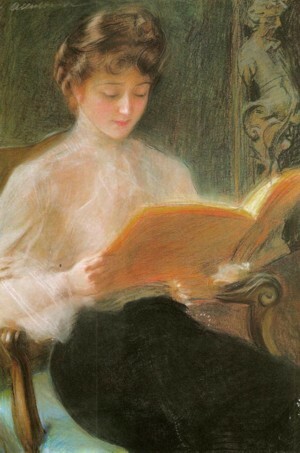 Reading her accounts of meetings with Yeats or T S Eliot, for example, one feels her shaping the moment for posterity. There is surprisingly little about the boredoms, humiliations, and terrors of illness. As usual, she bothered to think through the reasons for this: "I want to appear a success even to myself." The diary feels so full and expansive that it is tempting to imagine that all her life is here. It is not, but here is the version of life she wanted to remember. 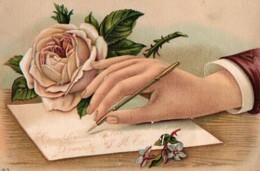 I find it fascinating to pick an event from the diaries & then read the letters she wrote at the same time. As we all do, she had different voices for different people & she can write several letters about the same incident to different people, putting a slightly different slant on it each time. It's even more exciting to open A Writer's Diary as I just did & find myself reading the entry she made on October 27th 1928 when she returned from giving the lecture that became A Room of One's Own. Thank God, my long toil at the women's lecture is this moment ended. I am back from speaking at Girton, in floods of rain. Starved but valiant young women - that's my impression. Intelligent, eager, poor; and destined to become schoolmistresses in shoals. I blandly told them to drink wine and have a room of their own. ... I fancy sometimes the world changes. I think I see reason spreading. But I should have liked a closer and thicker knowledge of life. I get a sense of tingling and vitality from an evening's talk like that; one's angularities and obscurities are smoothed and lit. I also prefer the essays to the fiction. The Common Reader books are just so full of Woolf's wide reading & Harris describes how much research & reading went into just one essay. I recently treated myself to Vol 5 of the Collected Essays edited by Stuart N Clarke which contains the second series of The Common Reader as well as the essay Women & Fiction that became A Room of One's Own & I've been reading an few essays every week. Inspired by this biography, I did read Between the Acts last week. I admired it but it left me cold. I think I'll just have to admit quiet defeat & keep reading the essays, letters & diaries. Virginia Woolf is a beautifully produced book. A compact hardback with almost 50 illustrations it's an example of a book that doesn't need to be a single page longer. The final chapter is a survey of Woolf's reputation since her death, & is especially good on the various feminist interpretations that portrayed Woolf as a victim of the patriarchy & the medical establishment or a lesbian feminist heroine. Alexandra Harris's version of the life is admirably balanced & gives full weight to all the aspects of Woolf's life. I enjoyed it very much. I had never heard of Sarah Williams when I came across this lovely poem called Youth & Maidenhood. I haven't been able to find a picture of her (this picture is from here). I found out a little about her short life from The Feminist Companion to Literature in English by Blain, Clements & Grundy, one of my favourite reference books. Known as Sadie, Sarah was the daughter of a wealthy family who studied at Queen's College, London. She used the proceeds of her writing to help the poor. She died following an operation at the age of 27 & her poetry was published posthumously in a collection called Twilight Hours. I think it encapsulates that Victorian melancholy abvout love when death was never far away & maybe love was all the sweeter for that contrast. Trembling in an ecstasy of calm. Withering beneath the fatal grasp. Melting into tears when it is done. When it comes my heart breaks forth and sings. My faithful e-reader, basic but easy to use, conked out a couple of weeks ago. My friend P thinks it was the CPU as I couldn't access any of the books, all I could see were little grey thumbnails (& the only excuse for grey book covers is Persephone books which these weren't). So, I decided that I would look around for a new e-reader with a few more whiz bang features. I decided on the new Sony Touch with wi-fi. I won't go through all my struggles with Adobe not talking to the Sony Reader or the number of registration forms I had to fill in for just about every move I made. All I will say is that, after a couple of hours of me talking to the PC & the PC not talking back to me, the Sony Reader miraculously found the e-books I had stored on Adobe & whizzed them across to the Sony Reader & I somehow worked out how to get them on the new reader. Then, I needed a Bex & a good lie down. Just today (because I needed a week's recovery time), I managed to get the free e-books I had stored on my PC onto the reader so I'm feeling quite pleased. I'm not very clever with technology so this is an achievement, believe me! The Sony Touch is smaller & much lighter than my old e-reader. I'm enjoying the increased functionality. It's much easier to move through a book (now I can type in a page number. Before I could only move through a book by increments of 5%. Awkward but it did wonders for my maths skills). I can bookmark, use the dictionary & I even tried out the wi-fi at work & was able to download a book from our e-library. 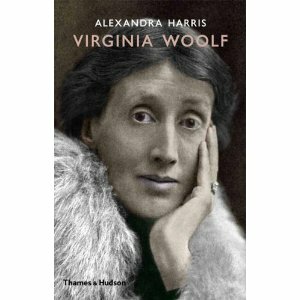 I have been reading (Alexandra Harris's excellent biography of Virginia Woolf) & I will be posting a review & a poem over the next couple of days but I need to walk away from the PC for a bit. I've started the next Julia Probyn book by Ann Bridge now that I'm e-able again & it's just as good as the previous books in the series. I also want to mention a new feature on Blogger. I can now reply directly to a comment rather than my replies being at the bottom of the list. Anyone can reply to a comment of course but when a conversation starts as it sometimes does, it will be easier to keep track. Some book news to end this ramble. Virago are going to reprint two novels by Angela Thirkell in December. High Rising & Wild Strawberries. I haven't read any Thirkell but I know there are many fans out there. I've always thought I should read Thirkell one day & I have an omnibus on the tbr shelves so I may be inspired this year. 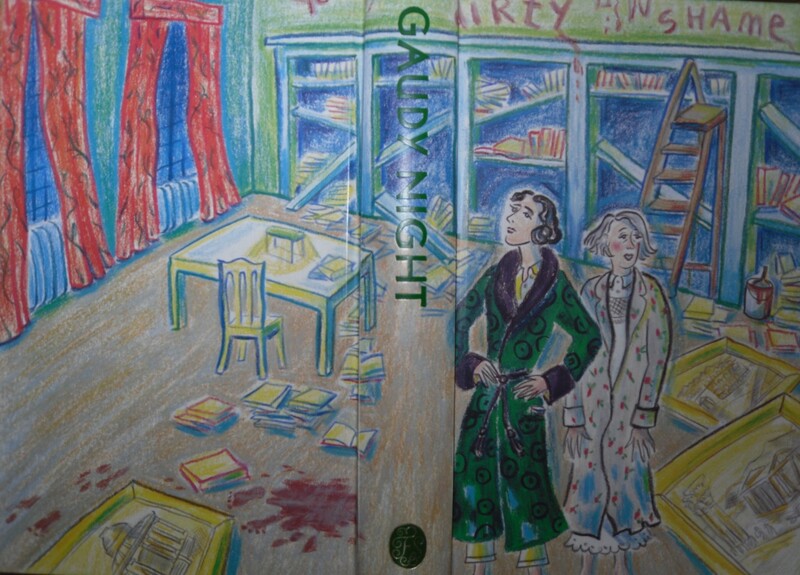 I'm sure I'm going to want to buy the Viragos, can't wait to see the covers. Sixteen years ago, young Harriet Lowther disappeared. She was waiting at a bus stop but she didn't get on the bus. There were few witnesses & no clues as to what could have happened. Harriet was a good student who loved music & sport. She was happy at home & had plenty of friends. There seemed no reason to believe she'd run away but, if she was abducted, she vanished without trace. Now, after a storm that washes away earth & rocks on the Moor near the cathedral city of Lafferton, a shallow grave has been discovered. The remains prove to be Harriet's & Simon Serrailler is put in charge of the investigation. When another shallow grave with the remains of another young woman are discovered in the same area, the case becomes more complicated because this young woman wasn't reported missing. Are the two deaths connected? Cold case investigations are the most difficult to pursue. Memories fade, witnesses move away or die. Simon is also faced with cutbacks in the police force that mean he's virtually investigating on his own. He's a loner, as all the best fictional detectives are, so that doesn't really matter. But there's a mountain of evidence to sift through about Harriet's disappearance & the need to identify the second victim is vital. When a TV producer agrees to do a reconstruction of the afternoon of Harriet's disappearance, Simon hopes that it will jog someone's memory. When Jocelyn Forbes discovers that she has motor neurone disease, she knows how horrible her inevitable death will be. She decides to investigate assisted suicide although her barrister daughter, Jenny, is horrified at the suggestion & initially refuses to accompany her mother to a clinic in Switzerland. Although Jocelyn changes her mind about the Swiss clinic, she is determined to choose the time of her death before her symptoms become too distressing. When she's contacted by a local doctor who seems to know all about her experience in Switzerland, she decides to investigate further. Simon Serrailler's sister, Cat Deerbon, is a GP who also attends a hospice. The hospice is in financial trouble & Cat is increasingly concerned that the work they're doing is being compromised by the constraints they're suffering. Another trustee at the hospice is Sir John Lowther, Harriet's father, & he decides to ask Leo Fison for help with fundraising. Fison & his wife have just opened a nursing home for dementia patients but he's willing to take on the task & immediately comes up with several ideas to keep the hospice going. 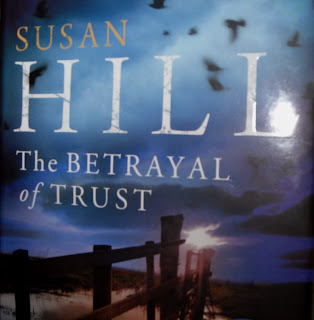 Susan Hill's novels are never just about the investigation. There's usually a social issue that threads through the narrative. This time, it's euthanasia. The characters in the book explore all sides of the question &, because it's a question that has resonance for Simon & his family because of events in earlier books in the series, it becomes part of the wider tapestry. That's what I especially enjoy about this series. Apart from the puzzle of who killed Harriet & who the unidentified woman is, there's a real sense of a family & a community. Simon is an aloof character although in this book we see him as vulnerable when he falls in love, virtually at first sight. Naturally, the course of Simon's love is not going to run smooth as although the woman he loves reciprocates his feelings, she's not free. Cat is struggling with being a single parent after her husband's death & is finding the demands of family & work more difficult. None of these personal issues is resolved at the end of the book & I can't wait for the next one to find out what happens to the Serraillers next. I read very few detective novels last year, I just wasn't in the right mood. At the moment I have new novels by Cath Staincliffe, Marcia Muller & Cynthia Harrod-Eagles on my desk, all continuations of series I've enjoyed. Hopefully reading The Betrayal of Trust has given me the kickstart I need to put a little mystery into my reading again. 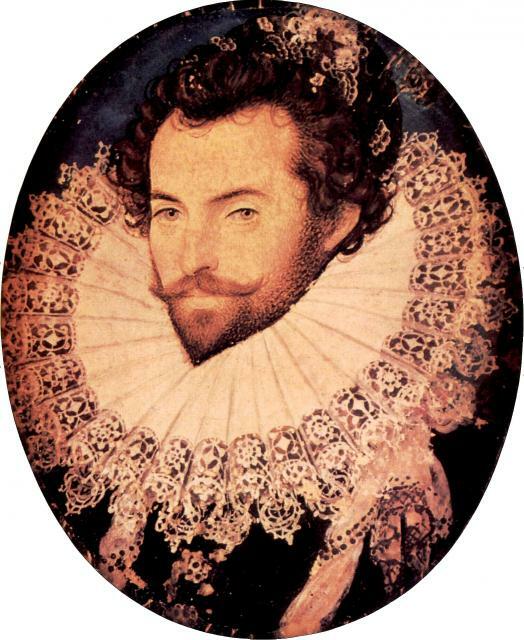 Last Sunday I was reading Christopher Marlowe, this week, it's Sir Walter Raleigh's response to Marlowe's poem. The Nymph's Reply to the Shepherd is a sober, cool response to the rapturous heights of Marlowe's poem. Just as last week's poem suited the hot, languorous weather we were having in Melbourne that day, so this poem suits today's grey, coolness. It rained all night & it's still quite humid but I hope a southerly breeze will take the humidity away very soon. I've found myself rereading the novels of the Brontё sisters over the last year or so. I reread Jane Eyre & Wuthering Heights nearly every year but the other novels not so often. I read Villette again last year & The Tenant of Wildfell Hall as well but this is the first time I've read Shirley in years. I've only ever read Agnes Grey & The Professor once so I feel I need to read them again as well. 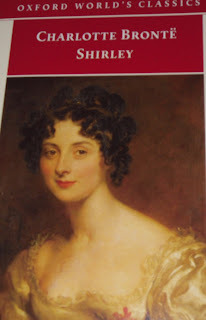 Shirley is a historical novel, set at the time of the Napoleonic Wars in early 19th century England. Shirley Keeldar is an orphaned heiress who has returned to her family estate, Fieldhead, after years of living with her guardian & his family. She was given the name Shirley in the expectation that she would be a boy as it was originally a boy's name (Shirley Temple has changed the way we think of the name. In 1849 when Shirley was published, readers would have been surprised to find a heroine called Shirley). Shirley is beautiful, spirited, wilful but essentially a kind, loving girl. She is determined to look after her estate & her tenants. However, she returns to a community in disorder. The war with France has been devastating for the local cloth manufacturers. There have been riots by workmen laid off due to the introduction of new machinery in the factories that will mean less hand labour is needed. Robert Gérard Moore, a half-Flemish, half-English mill-owner, has boldly introduced the new frames to his factory. His methods have been a little brusque, a little unfeeling to the fears of his workers who have been laid off. Moore is determined to press on with the innovations as quickly as possible. The consequence is that the first delivery of new machinery is attacked & destroyed by a gang of frame-breakers determined to stop progress at any cost. Shirley champions Robert & loans him money to keep his factory afloat as restrictive laws limit the market for his cloth. Robert is handsome & Shirley is beautiful & rich. Rumours are soon about that they intend to marry. Caroline Helstone is a quiet young woman, niece to the Rev Helstone, a cold, distant man whose unkindness is said to have driven his wife to an early grave. Caroline's childhood was unhappy. Her father was a drunkard & her mother left him & Caroline & hasn't been heard of for years. Caroline is a distant cousin of Robert Moore & his sister, Hortense, & spends her days at their house, The Hollow, improving her French & her sewing. Caroline is in love with Robert but his thoughts are on his business & his future. The rest of her time is spent as a helper at Sunday School & acting as her uncle's hostess at tedious social occasions. When Shirley arrives at Fieldhead, she & Caroline become friends. Caroline's uncle forbids her to see the Moores after he quarrels with Robert & Caroline gradually pines away with unrequited love & a sense of hopelessness as she has no purpose in life. Practically uneducated, unwilling to think of marrying anyone but Robert, who seems to be in love with Shirley, Caroline sinks into a dangerous illness. Shirley is a fascinating but not wholly successful novel. The first two volumes (my OUP edition is divided into the original three volumes) are wonderful. From the opening chapters with the attack on the factory machinery to the story of Caroline's love for Robert & her frustrated lack of purpose & the arrival of Shirley who rejuvenates everyone around her, the story is gripping. The chapters about Caroline's illness are incredibly moving, especially with the knowledge that Charlotte was writing these chapters just after the death of Anne, her last remaining sibling. The chapter about the old maids of the village, Miss Ainley & Miss Mann, is full of all the withering scorn Charlotte was capable of. Charlotte knew the likely fate of unwanted women all too well in a society that was content to have undereducated women languishing for want of useful work. Caroline can see her fate in that of the old maids & it leaves her demoralised & depressed. The attack on Moore's mill is exciting & full of tension as is the attack on Moore himself that leaves him close to death. The portraits of the Yorke family (based on Charlotte's friend Mary Taylor's family) & the three curates, Donne, Malone & Sweeting (based on curates Charlotte had known at Haworth. 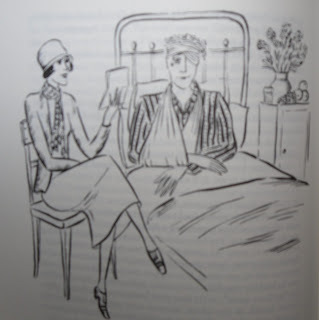 Apparently when Arthur Nicholls, Charlotte's future husband, first read Shirley, his landlady heard him shout with laughter & stamp his feet as he read the opening chapters) are truly felt & observed. Charlotte based Caroline & Shirley on her sisters, Anne & Emily, using wish fulfillment as well as her memories in her portraits. She said that Shirley was Emily as she would have been if she'd had wealth & she uses the true episode where Emily cauterised a bite on her arm from a dog suspected of rabies & gives it to Shirley. The historical background is based on extensive research into the newspapers of the time as well as her father's recollections. It's the third volume that falls off in interest & credibility. Robert's brother, Louis, has been tutor in the family of Shirley's guardians, the Sympsons. When the Sympsons visit Fieldhead, Caroline is surprised that Shirley hadn't mentioned knowing Louis. Unfortunately Louis is not an interesting character & his journal entries demonstrate all the difficulty Charlotte had when trying to write from a male perspective. Seeing Shirley change from the vibrant young woman of the first two volumes to someone looking for a master & content to be ruled by another is a real anticlimax. Shirley does say that she felt she had to defer to Louis so that he wouldn't be embarrassed by their difference in fortune & status, but I wasn't convinced. Their courtship is stilted & drawn-out & the part played by young Martin Yorke & Henry Sympson very awkward. Even with my reservations about the relationship between Louis & Shirley, I enjoyed revisiting Shirley very much. Charlotte promised her readers "Something real, cool, and solid, lies before you; something unromantic as Monday morning", and after the romance & mystery of Jane Eyre, that's what they got. All Charlotte's strengths as a writer are here - the strong female characters, the domestic details, the true relationships between uncle & niece, mother & daughter, friends & lovers. If I don't love Shirley as I love Jane Eyre, I can certainly enjoy revisiting some of the most vivid characters ever created by one of my favourite authors. Happy New Year everyone. I'm beginning the New Year with a new poetry anthology, Everyman's Book of English Love Poems, edited by John Hadfield in 1980. I rescued it from a library book sale a long time ago. I'm going to ignore all my librarian's training & just dip in where the mood takes me instead of going through the book chronologically. The first poem I've chosen is an early one though, Christopher Marlowe's The Passionate Shepherd to His Love. I've had a restless couple of days, flitting from book to book, unable to settle on anything. I enjoyed compiling my Top 10 lists but then couldn't decide what to read next. I started reading some of Michael Wood's essays from his collection In Search of England & that led me on to his TV series from about 10 years ago, In Search of Shakespeare. I watched the first two episodes of it last night & I'll watch the rest this afternoon. 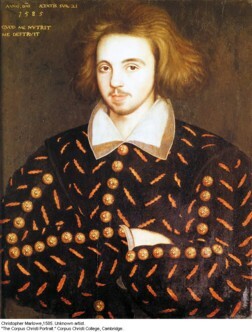 I don't really care if this gorgeous portrait (from here) is Marlowe or not. It's how I've always imagined him & it's the picture I have in my mind as I read his poetry. I always hear the lovely version of this poem that was used in the opening scenes of the Ian McKellen version of Richard III. You can hear it here (the song starts at 2.13). Next week, Sir Walter Raleigh's reply to Marlowe.